Vegetable gardening is becoming more popular—both as a pastime and a food source. We experience satisfaction in planting a seed or transplant, watching it grow to maturity, and harvesting the fruits of our labors. In addition, vegetable gardening offers a good source of exercise, with the added benefits of healthy snacks and food for the table. 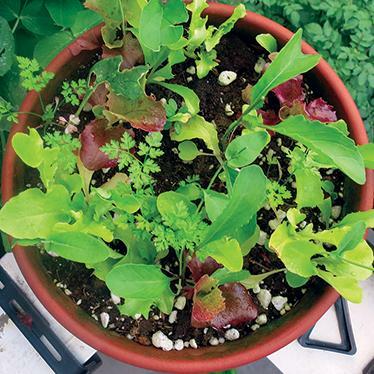 Growing a salad in pots. Choose a convenient site in full sun with easy access to water and fertile, well-drained soil. Avoid areas near trees and large shrubs that will compete with the garden for sunlight, water, and nutrients. Sunlight. Most vegetables need at least eight hours of direct sunlight. Plants that we grow for their leaves—including leafy greens such as lettuce, kale, chard, and spinach—and plants that we grow for their storage roots (such as radishes, turnips, and beets) can be grown in as little as six hours of sunlight but do much better with eight hours or more. Plants that we grow for their fruit, including tomatoes, squash, and cucumbers, need at least eight and do better with 10 hours of sunlight. Water. One of the most important aspects of gardening is water, which makes up 90 percent of a plant’s weight. Water is heavy and difficult to move, so locate the garden near a potable water supply, making it easy to water the garden properly. Dragging a hose hundreds of feet or carrying buckets of water across the yard every few days makes having a garden a lot more work. On average, vegetables need one inch of water per week, and you need to provide only what is not supplied by rain. Water the soil, not the plant. Many diseases are spread by water splashing on the leaves. Overwatering can also lead to insect and disease problems as well as washing nutrients away, converting a valuable garden resource into pollution in nearby streams. Gardening is not as easy as simply planting a seed or transplant and watching the plant grow. Once a site is selected, there will be several other questions to consider in the planning phase. Container gardens, raised beds, traditional rows, and intensive plantings are all possibilities. Container gardens. 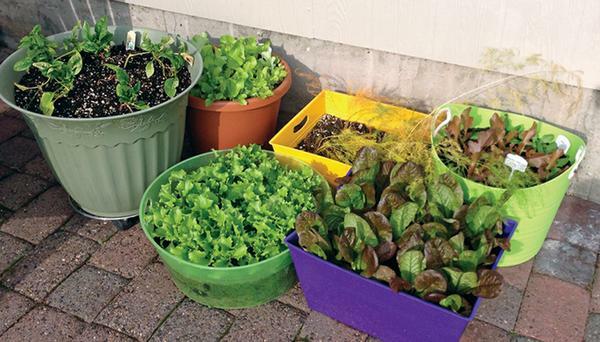 Many vegetables can be grown in containers that are deep enough to support their root systems. Containers may range from as small as a 12-inch flowerpot to a half whisky barrel. The bigger the container, the easier it is to be successful. The larger the mature plant, the larger the container needs to be. Vegetables that do well in containers include beans, beets, carrots, collards, cucumbers, eggplants, garlic, kale, leeks, lettuces, mustard greens, peas, peppers, potatoes, spinach, squash, Swiss chard, and tomatoes. Mix and match vegetables in one container for extended beauty and harvest. Containers require more frequent irrigation than gardens, especially as the plants grow and require more water. A drip irrigation system connected to a timer is a great addition to a container garden. Raised beds. 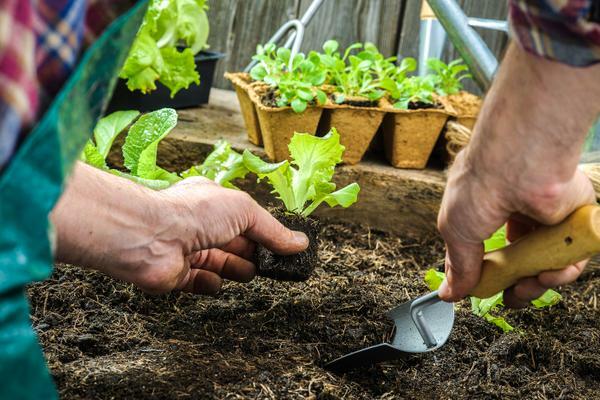 A variety of materials can be used to construct raised beds, but do not use materials that might leach chemicals into the soil, such as old railroad ties. Soil in raised beds will heat up more quickly in the spring and stay warm longer into the fall. Vegetables in raised beds will require more frequent irrigation than those in an in-ground garden. When planned and planted properly, one 4-foot by 8-foot raised bed may supply a good portion of the produce for one or two people. The addition of trellises provides vertical gardening and increases the space available to vining plants like cucumbers and beans. Use intensive gardening techniques to optimize use of the space. 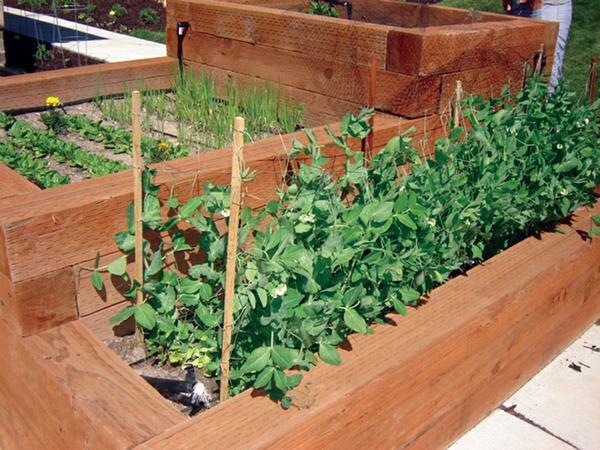 Succession planting will also aid in maximizing the harvests from a raised bed in a small area. In-ground gardens. Larger areas allow gardeners to choose traditional row gardening or gardening in beds. 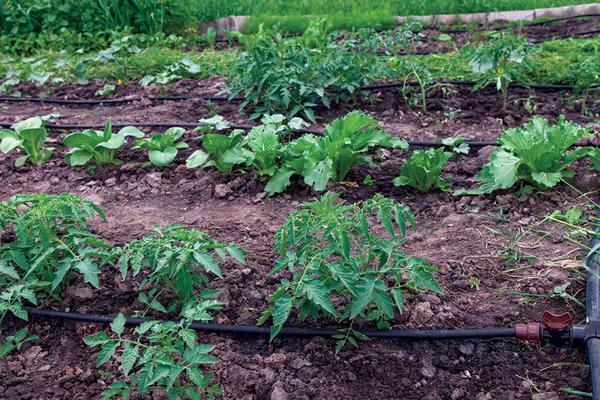 While a row garden is easier to manage with a tractor for planting, harvesting, and other garden chores, planting in a bed makes better use of available space. Using beds allows for several rows to be planted closer together, shading weed seeds and preventing them from growing later in the season. Beds may require a bit more labor to plant initially. But when planted correctly, beds can reduce the need for weeding later in the season. 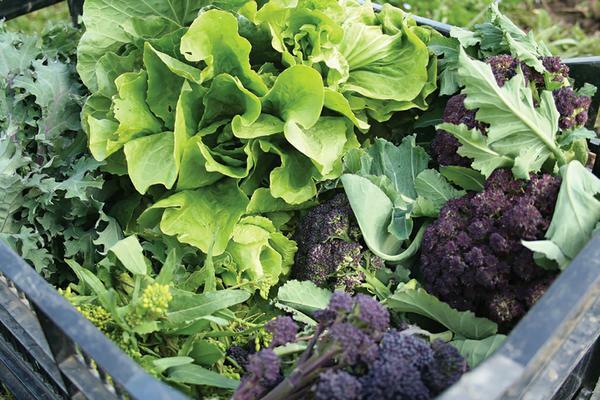 You can also incorporate vegetables in your ornamental beds. 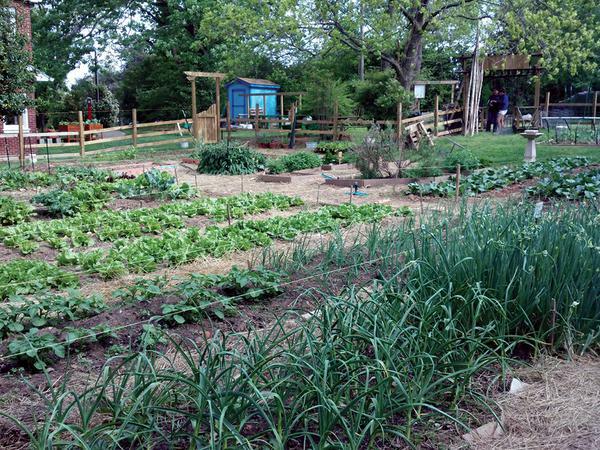 If you want more land, explore opportunities at a community garden. 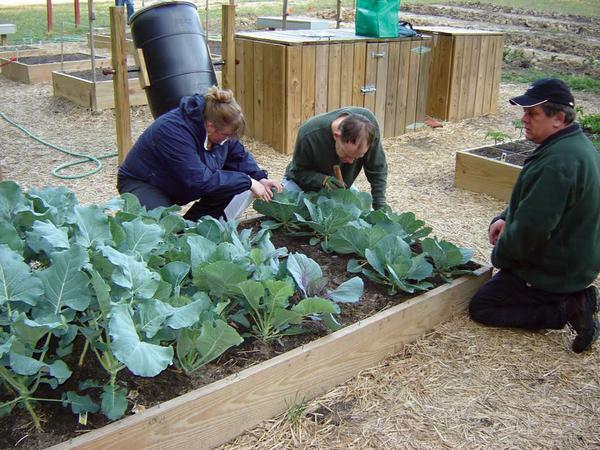 Visit the NC Community Gardens Directory for a list of active community gardens. Whichever garden style is chosen, start small. Only plant the amount of space that you can manage joyfully. The garden should be fun and fascinating, not a chore to be dreaded and avoided. Start small, improve the soil, manage the weeds, and expand the garden as your skills and interests grow. Grow what you like to eat. If space is limited, concentrate on vegetables that yield the greatest return for the effort, such as pole beans, tomatoes, root crops, and leafy greens. If you like to cook unusual foods, try vegetables that are difficult to find or expensive in the market—such as specialty lettuces or broccolini. Cool-season annuals. 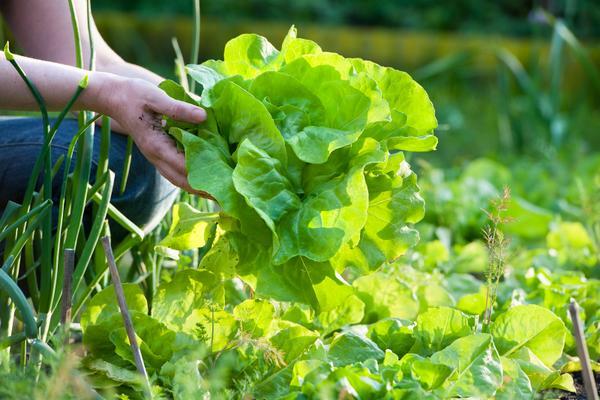 Plant these crops in early spring and early fall. They are cold-hardy and thrive in spring and fall when temperatures are below 70°F: beets, broccoli, Brussels sprouts, cabbage, carrots, cauliflower, collards, kale, kohlrabi, lettuce, mustard, onions, peas, potatoes, radishes, rutabagas, spinach, Swiss chard, and turnips. Warm-season annuals. Plant these crops after the last spring frost when soils have warmed up. They are frost sensitive and thrive in summer when temperatures are above 70°F: beans, cantaloupes, corn, cucumbers, eggplant, okra, peppers, pumpkins, southern peas, squash, sweet potatoes, tomatoes, and watermelons. Biennial crops such as artichokes grow the first year, and flower, fruit and die the second year. Perennial crops such as asparagus and rhubarb live for many years once established. To find recommended varieties for your garden based on citizen science reports, visit Cornell University’s Vegetable Varieties for Gardeners. Plan for year-round production through succession planting. Spring. Plant cool-season crops early and warm-season crops in late spring. 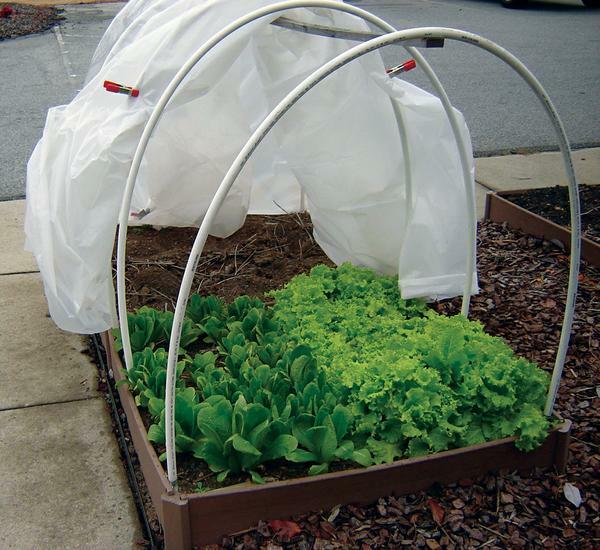 Use a cold frame or frost cloth to begin earlier in the season. Summer. Cool-season crops will bolt as the days lengthen and temperatures rise. Use shade cloth to protect plants and extend the season. Warm-season crops planted in late spring will grow until the first fall frosts. In late summer, plant cool-season crops for fall. Fall. Cool-season crops established in late summer will continue to grow through moderate to freezing temperatures. Winter. 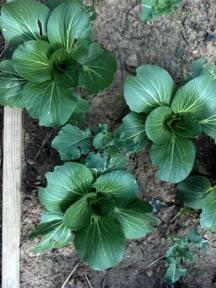 Cold hardy crops (such as kale, collards, and turnip greens) planted in fall may live through the winter. 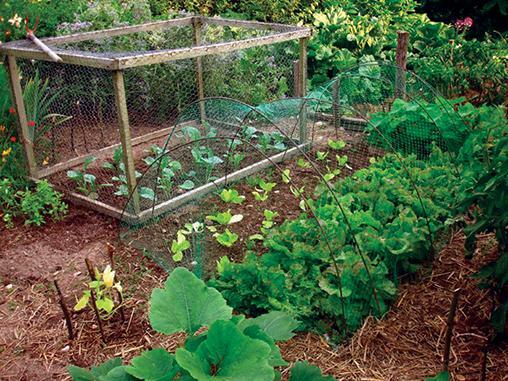 In colder areas, use a cold frame or frost cloth to extend the season. For specific planting dates, consult your county Extension center. You can also use N.C. Cooperative Extension’s Eastern North Carolina Planting Calendar for Annual Vegetables, Fruits, and Herbs, Central North Carolina Planting Calendar for Annual Vegetables, Fruits, and Herbs, or Western North Carolina Planting Calendar for Annual Vegetables, Fruits, and Herbs. Scheduling when to plant and when to harvest can be done in several effective ways. Writing the planting dates and projected harvest dates on a calendar is a method used by many gardeners and farmers. Another method is drawing a diagram of the garden and writing projected planting and harvesting dates on the garden diagram. Knowing when an area will be harvested helps with planning when to plant another crop in that space. Using this method of planning allows for a small space to be managed to its fullest potential. How to organize the garden? If planting in rows, run them across the slope of the land to reduce erosion. If there is little or no slope, north to south orientation makes the best use of sunlight. When planting, group tall crops (corn, okra, and sunflowers) and trellised vines (peas and beans) together on the north side of the garden so they won’t shade shorter plants. Do not foster the buildup of insect and disease pests by growing the same types of plants in the same spot year after year. Instead, plan a three- to four-year crop rotation for each bed or garden area to prevent crops in the same plant family from being planted in the same space in succession (Table 1). Table 1. Common vegetables divided into plant families. Crop rotation reduces the likelihood of nematode, insect, or disease buildup in the soil. This method of planning works well when the garden consists of three or more raised beds or is large enough to be divided into three or more plots. Table 2 depicts a sample four-year crop rotation plan for a garden with four plots growing vegetables from four plant families. Table 2. Crop rotation plan. Having a garden plan makes it easier to decide what seeds or transplants to purchase, how many will be needed, and when they will be needed. Keeping a garden journal with previous garden plans is a good way to record what worked and what didn’t. Part of garden planning is going over what has worked in the past and what hasn’t, so past mistakes can be avoided in the future. Things to record in the garden journal would include a list and map of what was planted, planting dates, varieties, source of plants, air and soil temperatures during the growing season, soil test results, fertilizers and pesticides applied, rainfall received, and amount and dates of harvest. Include photographs throughout the season. Containers: Purchase potting soil or make your own by combining equal parts of compost, shredded pine bark mulch, and vermiculite. Do not use garden soil in container gardens. Raised beds or in-ground gardens: Amend your soil with organic material first (either homemade compost or purchased certified compost). Then submit a soil sample to determine the pH and nutrient content of your soil. The N.C. Cooperative Extension center in your county can provide a soil test kit to have your soil analyzed and obtain specific recommendations for growing vegetables. Amend the soil based on the recommendations from the soil analysis. Space plants according to the label on the seed packet or plant tag. Allow space for the plant to mature, and leave space for airflow between plants to prevent disease. Plant seeds only two to three times as deep as the greatest diameter of the seed. Cover the seed and firm the soil lightly to ensure good seed-to-soil contact. For plants in peat cups or cubes, remove the part of the peat container that is above the potting soil in the container, and be sure to cover the containers well with soil when planting them in the garden. Acclimate transplants to their new environment by providing temporary shade for tender transplants for two or three days after setting them out. Mulching helps conserve soil moisture, reduce weeds, and reduce erosion. Use shredded leaves, pine straw, newspaper, or other organic matter that will break down and improve the soil. Plan for continual harvest by staggering planting dates at one- to two-week intervals. For example, if you are going to plant four sections of lettuce, plant the first week one, the second week two, the third week three, and the fourth week four. Table 3 depicts the planting and harvest schedule for a raised bed with weekly plantings of lettuce and other cool-season vegetables. As one crop is harvested, replant that area. Plan to grow crops in each of North Carolina’s three growing seasons. Each planting method has advantages. Seeds. A greater variety of seeds are available than transplants, and seeds are less expensive. Some seeds can be sown directly into the garden. Plant seeds according to package directions. You can also grow your own transplants by planting seeds. Six to eight weeks before the transplanting date, sow the seeds according to packet directions into a container indoors or in a cold frame, greenhouse, or other protected growing structure. Gradually transition seedlings from the protected environment to the garden, hardening them off by slowly introducing the transplants into full sun for a longer period each day over a week’s time. Transplants. You can start a garden quickly with transplants and harvest crops sooner than with seeds. Small plants purchased from a garden center, catalog, or online provide a way to overcome seasonal limitations. Some plants take so long to mature that even if started from seed in the garden at the beginning of the season, they would still not be ready to harvest at the end of the season (Brussels sprouts, for example). Except for tomatoes, which can be planted slightly deeper, transplants should be planted in the ground at the same depth they were in the container. Disadvantages to using transplants include the increased cost compared to seeds and the limited number of varieties. Root crops (such as carrots, radishes, and beets) do not transplant well. If it doesn’t rain, water new seeds and transplants daily until established. Water mature plants as needed. Frequency will depend on rainfall and temperature. Check the soil for moisture, and watch plants for symptoms of drought stress (leaves drooping in the morning or early evening). Soil in the vegetable garden should be kept moist but not muddy. Knowing the type of soil in your garden will help you determine how frequently it should be watered. A soil that is heavy with lots of clay will need to be watered less frequently than a soil that is lighter with lots of air pockets, such as a sandy soil or container garden soil. Fertilize only as needed following the recommendations on your soil analysis. Crops with long growing seasons, such as corn and tomatoes, may need additional fertilizer partway through the growing season. Watch for symptoms of nitrogen and other nutrient deficiency (including leaves turning yellow and slow growth). Avoid the urge to overfertilize, which can produce lush plant growth but decrease flowering and fruit development and increase pest problems. Mulch to maintain moisture and manage weeds. One to two inches of weed-free loose mulch (including shredded leaves, grass clippings (seed-free), wheat straw, and pine bark mulch) or five to six layers of newspaper should be enough to keep weeds down and the soil moist. Extend the growing season by protecting crops from extreme hot and cold. Use mulch to moderate soil temperatures. Cold frames protected by a row cover create shade for heat-sensitive plants. Covered with frost cloth, cold frames protect plants during freezing temperatures. A lettuce bed cold frame. Pests are attracted to stressed plants, so keep plants happy and healthy with adequate sun, water, and fertility. Include flowering plants that support beneficial insects to control pests and aid pollination. 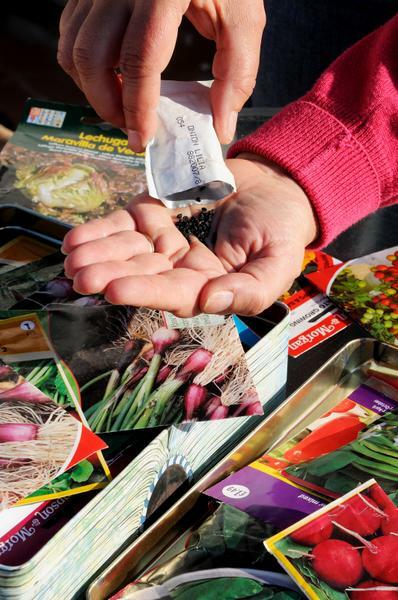 Select hardy disease- and pest-resistant seeds or plants by reading labels carefully. For example, tomato plant and seed labels that include VFN indicate a variety resistant to verticillium wilt, fusarium wilt, and nematodes. When choosing transplants, look for those that are healthy and free of insects and diseases. Water the soil and root area, not the leaves. Soaker hoses and drip irrigation will reduce standing water on the foliage, which leads to foliar diseases. Avoid splashing soil, and any diseases it may carry, onto the leaves. Scout the garden: Examine plants, including the underside of leaves, frequently for damage or disease and intervene early. Be sure to also check at night when slugs and snails are out. Many caterpillars are the same color as the leaf, so look closely for the pest and also for frass (the residue left by a pest after it eats plant parts). Learn to distinguish plant damaging pests from beneficial insects including pollinators such as bees that help fruit set, predators such as ladybird beetles that eat pests, and parasitic insects such as small wasps that lay eggs on pests. Remove dead and diseased plants and discard in the trash. Remove weeds before they flower. Don’t let weeds go to seed! Practice crop rotation. Pests and diseases can build up in the soil near host plants. Reduce pest and disease problems each year by rotating the locations where annual vegetables are planted. Learn about the plants being grown. Know what is normal and what might become a problem. Specific plants are vulnerable to specific pests. For example, squash often get vine borers. Broccoli, collards, and cabbages get cabbage loopers. And melons are prone to fungus and other diseases. A gardener who knows the most likely pests and diseases for each crop will find it easy to prevent or intervene quickly when problems appear. Use the least toxic pest management strategy available. When using pesticides, be kind to bees by not spraying plants while they are blooming and only spraying in the late afternoon. Stay on top of challenges with a visit to the vegetable garden every day or two. Remove weeds, insect pests, and diseased plants when the problem first appears, before the problem spreads. Scouting for insect and disease problems. Plants produce fruits and seeds to reproduce. Once a plant produces mature fruit, it quits putting energy into reproduction. (The plant quits making flowers and fruit.) If fruit is removed before it fully matures, however, the plant will try again, producing more fruit. Many plants produce so quickly that they need to be harvested every couple of days. 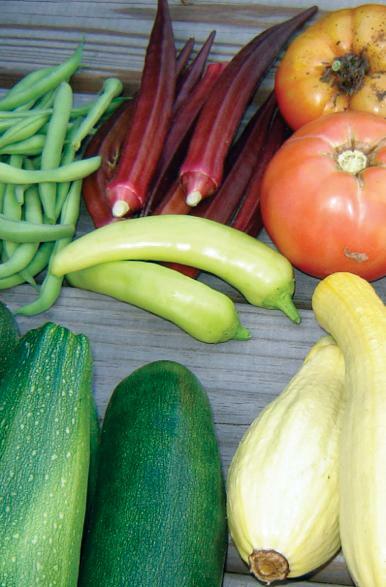 These include okra, string beans, garden peas, cucumbers, summer squash, and tomatoes. Daily garden visits ensure vegetables will be picked at the peak of perfection and not allowed to become overripe or spoil on the plant, attracting insects or animal scavengers. Look for signs that animals have been in the garden (such as footprints and droppings, which can pose a health risk by harboring parasites and disease organisms). Dispose of fruits and vegetables that may have come in contact with animals and their feces. The easier the garden is to see and access, the more likely it will be visited on a regular basis. The authors wish to express appreciation to Chris Gunter, Nicole Sanchez, Debra Ireland, Issac Lewis, and Barbara Scott for their assistance in preparing this publication. Bass, L. 1999. Vegetable Gardening—Quick Reference Guide (AG-12). Horticultural Information Leaflet 8103. Raleigh: NC State University.